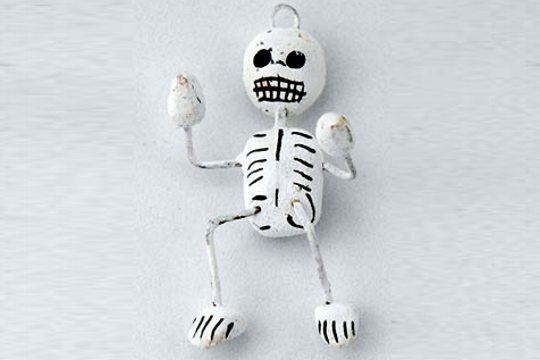 This little skeleton (esqueleto) has bendy arms and legs and a little hanging hook - just in case you'd like to hang him as a decoration in your home, on a shrine or other display. 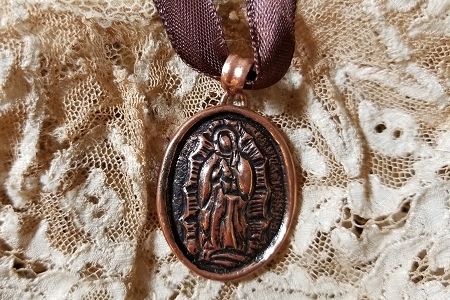 You might even choose to wear him as a pin or necklace. Just like the rest of our Day of the Dead images, each of these little Muertos is hand sculpted and painted by traditional artisans. Each is a bit different, so please let us choose one for you.